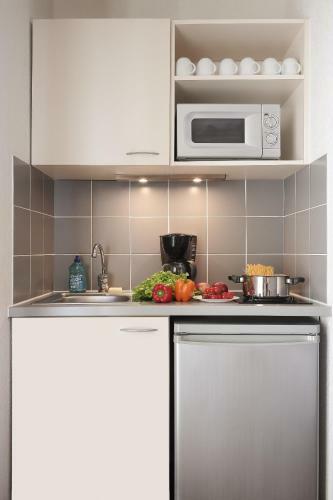 Adagio Access Avignon (Ex Citéa) price per day from € 39 . Hôtel De Garlande price per day from € 129 Hôtel De Garlande is a fully renovated former house with a peaceful and central location in a quiet street in the heart of the old town. The cosy rooms offer functional and spacious living spaces. At the Hôtel De Garlande the service minded staff can help you organise your stay, book a restaurant, a plane ticket or hire a car..
House, 100 square meters, recommended by travellers ! Hôtel De Garlande price per day from € 65 . 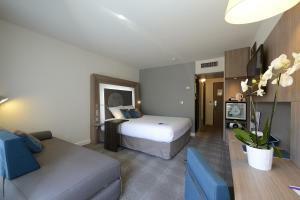 Ibis Avignon Sud price per day from € 49 . La Baraillerie Located in the heart of Avignon, La Baraillerie offers a garden with a furnished terrace, just 600 metres from the Palais des Papes. The attic room at La Baraillerie features a private bathroom with a shower, a hairdryer and free toiletries. Le Limas price per day from € 155 Le Limas is located in the centre of Avignon, just a 5-minute walk from the Palais des Papes and a 3-minute walk to the Pont d’Avignon. The private bathrooms offer slippers and free toiletries. The Avignon City Train Station is a 15-minute walk away and the Avignon TGV Train Station is a 5-minute drive away..
Novotel Avignon Nord price per day from € 79 The 4-star hotel is located close to the A7 motorway, 10 minutes away from the centre of Avignon, close to the TGV railway station, the airport, a golf course and a shopping centre. The hotel is equally suitable for a business trip or a visit to Provence with your partner or family..
15. Take exit 23-Remoulins toward Avignon/Uzès/Pont du Gard. Toll road. 16. Keep left at the fork. Toll road. 18. Continue onto Pont de l'Europe. 20. Turn left onto Porte de la République. 21. Continue onto Cours Jean Jaurès. 22. Continue onto Rue de la République. 23. Turn left onto Rue Saint-Agricol. 24. Take the 1st right onto Rue Félicien David. Winery Chateau la Nerthe, Chateauneuf-du-Pape, 10.9 km from the centre of town of Avignon. Museum Vin Brotte, Chateauneuf-du-Pape, 11.8 km from the centre of town of Avignon. Castle Gardine, Chateauneuf-du-Pape, 12.3 km from the centre of town of Avignon. Winery Domaine Ogier, Chateauneuf-du-Pape, 12.6 km from the centre of town of Avignon. Winery Xavier Vins, Chateauneuf-du-Pape, 14.2 km from the centre of town of Avignon. Ski resort Orange. 21 km from town of Avignon. Winery Nuances du Sud, Beaumes-de-Venise, 25.9 km from the centre of town of Avignon. Winery Vignerons de Beaumes-de-Venise, Beaumes-de-Venise, 28.9 km from the centre of town of Avignon. Ski resort Mont Ventoux, number of cross country pistes: 6km. 45 km from town of Avignon. Ski resort Montagne de Lure, number of cross country pistes: 6km. 79 km from town of Avignon.